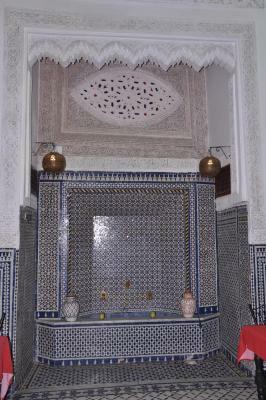 The Riad is beautiful. 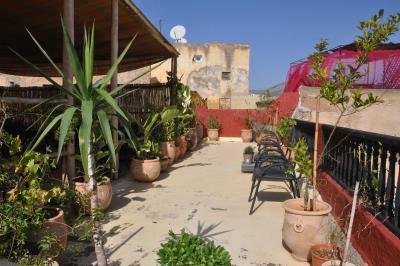 It is in a very convenient location close to the Blue Gate and within the medina. The breakfast was good and filling. The place is pretty and located in a good spot near the entrance to the Medina. Oussama, the receptionist, was wonderful! He is hard-working, helpful and very nice, definitely deserves a praise! 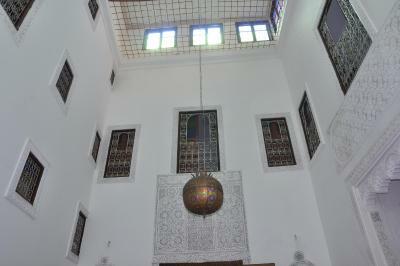 The place is beautiful, very Fezi, and close to the entrance of the Medina, not hard to find. A lot of places around to buy cheap food and souvenirs. And the bed is comfortable, AC on the room and clean bathrooms. 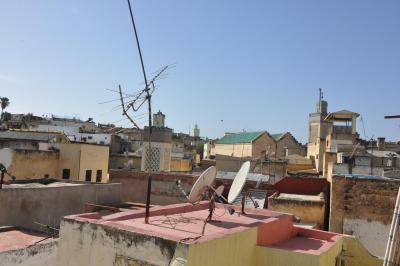 The terrace has a nice view of the old Medina and is a nice place to hang out with other guests. 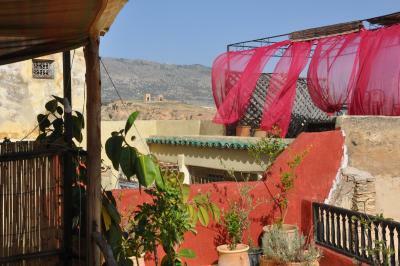 Zohor has truely become my home in Fez! The whole facility is kept very clean. The terrace is spacious and cozy. 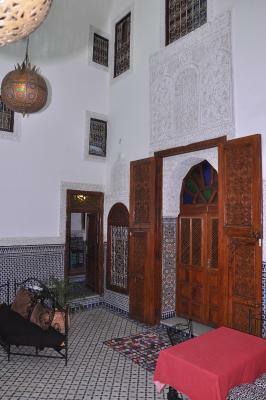 I love the traditional Moroccan style decoration. Most importantly the staff in Zohor are amazing! They're truely frgendly, helpful and thoughtful. I highly recommend this place! 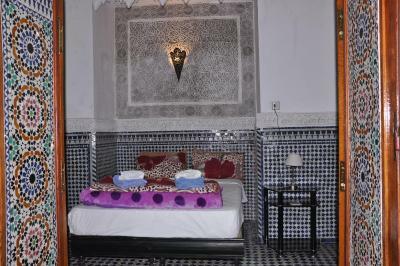 There were two Moroccan male staff that entered my room at 3:30am do not stay in this guest house. The staff did not want to enter my passport number or give me a hotel receipt until I insisted that Moroccan police would check to see where I was. The owner of the property is very friendly. He brought us around the market in Fes and pointed us to shops for leather and scarf products. We also required a transport to Chefchaouen during our stay in Fes, the owner arranged us the transportation service with good price. The breakfast is AMAZING! The hotel was beautiful inside with a great view from the upstairs terrace overlooking the city. It is located right in the middle of the Medina (market). The staff took great care of us! I'd highly recommend this hotel. The guy who welcomes you is named Ousama and he is the nicest guy you will meet in Fez! hes always willing to help you and guide you if you need to go somewhere in the Medina which could be a maze easy to get lost in. Breakfast is really good and abundant. For the price I think its harder to get something better. 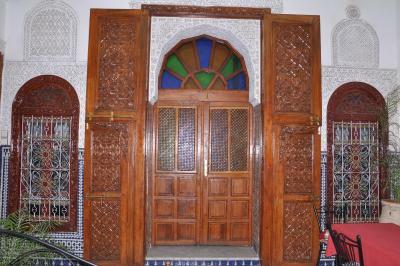 Maison D’hôtes Zohor is located a 15-minute walk from the New Medina in Fès. 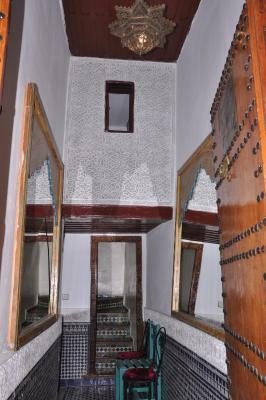 This Moroccan-style guest house features a terrace with a fountain and is only 400 feet from Bou Inania Madrasa Ancient School. 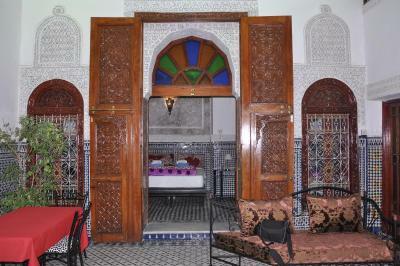 The rooms include traditional furniture and air conditioning. 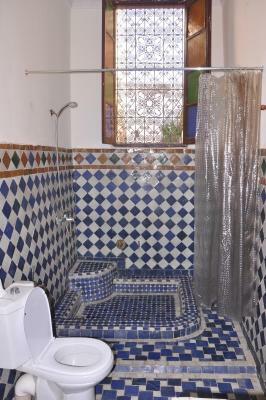 The bathroom features Moroccan tiles with a shower and separate toilet. 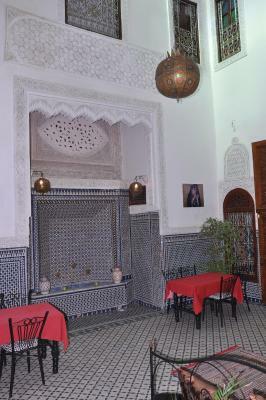 A complimentary Moroccan/Continental breakfast is served each morning, and local dishes are served upon request. 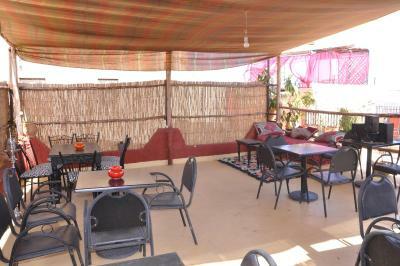 Guests can enjoy the outside seating area, make use of the free Wi-Fi. Guided visits of the medina and excursions to Meknès, Volubilis, the Middle Atlas and the Sahara can be organized from the hotel. Fès Saiss Airport is ideally located a 30-minute drive away and an airport shuttle service is also available. 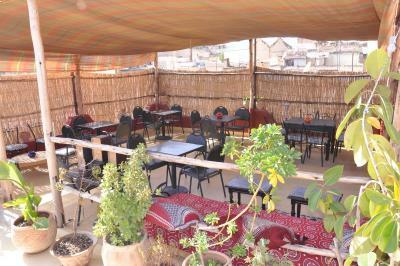 Fes El Bali is a great choice for travelers interested in street markets, markets and shopping. This is our guests' favorite part of Fez, according to independent reviews. 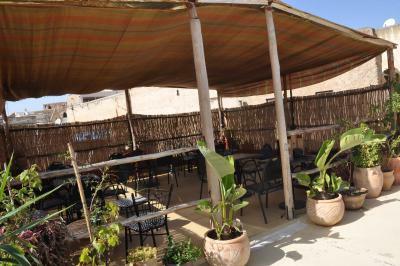 뀐 Located in the top-rated area in Fez, this property has an excellent location score of 8.4! When would you like to stay at Maison d'hotes Zohor? 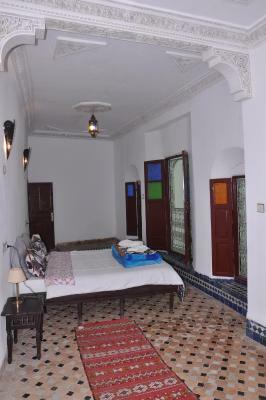 This double room has a seating area, tile/marble floor and air conditioning. Public parking is available at a location nearby (reservation is needed) and costs EUR 2 per day. This family room features a tile/marble floor, air conditioning and seating area. This room is located on the top floor of the building, with a window overlooking the terrace. It features a private bathroom with shower. This double room features a seating area, tile/marble floor and air conditioning. This twin/double room has a tile/marble floor, seating area and air conditioning. Area Info – This neighborhood is a great choice for travelers interested in street markets, markets and shopping – Check location Great location - show map Guests loved walking around the neighborhood! Fes el-Bali is an ancient walled district made up of thousands of winding alleys. 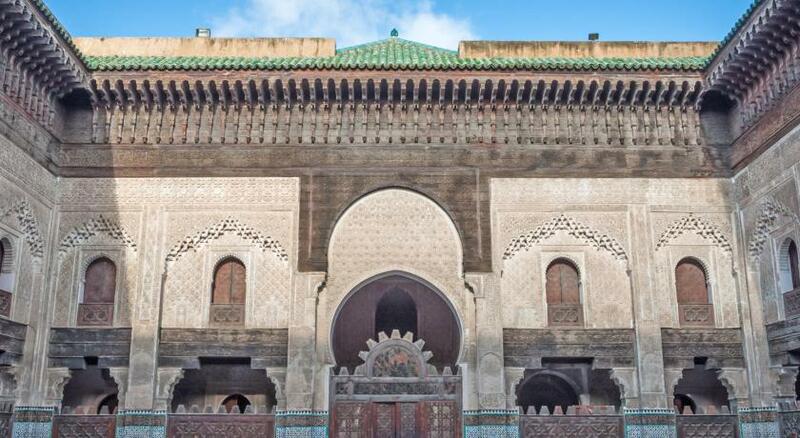 Start at Bab Bou Jeloud Gate and wander past stunning tile doorways and examples of impressive Islamic architecture. House Rules Maison d'hotes Zohor takes special requests – add in the next step! Please inform Maison d'hotes Zohor of your expected arrival time in advance. You can use the Special Requests box when booking, or contact the property directly using the contact details in your confirmation. 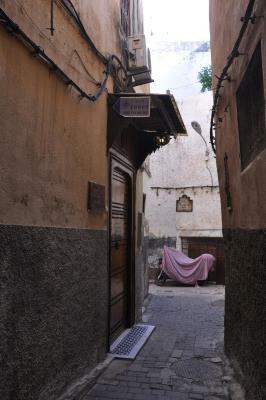 One of the most picturesque neighborhoods in Fez! Room didn't have heat, so cold at night. Bathroom shower not separated and no curtain so whole bathroom got wet when showering. Owner (Kyle) was away and rest of staff didn't know details of booking or pre-arranged car/driver, so some confusion over terms. Despite all this, good value for money and staff friendly. Great location in the medina. Room large. Twice we returned from walking about the median and no staff were on site to answer the door. Luckily there were some guests who heard us knocking and timing the bell. Also, our shower drain did not work. It took nearly 24 hours for the water to finally go down. The property was slightly hard to find at first. The phone number posted on the site by the property does not work anymore. The cleaner in the property expects you tip her every time she does something. She entered our room without our permission asking for tip several times and keeps persuading us to tip her. At one point, the cleaner did not leave the room until we tip her. Horrible experience. When we arrived (the morning of new year's Eve, the busiest day of the year) a staff member told us that there is no place for us in the hostel, even though we booked 7 months ahead! After he saw my reaction and reservation receipt he just grabbed a couple out if their room and told them to look for a new place and gave us their room. We were shocked. Later that day I went to pay the guy, then he requested much more money than agreed on booking.com. I showed him my reservation and requested to pay the agreed price, however, he said that my reservation is for dorms and not for a private room. I explained him that I did not ask for a private room, but since he gave our beds to someone else and all he had was the room, we shouldn't pay for their mistake. At that moment the manager came and aggressively shout at me, saying that I can leave and look for another place. He was very violent, raising his hands like he is about to hit me. I did not feel safe at all. At that point I called Booking.com, but no one answered. Booking.com doesn't have a customer service representatives for Morocco, and the French branch was apparently closed for new year's. I realized that I should find a solution, otherwise the guy will kick us to the street in the busiest day of the year. The manager grabbed to people from their beds in the dorms and just gave us their beds. The beds we're dirty and used and they were not willing to clean them. Through our stay this place was a nightmare. Super noisy, you can hear everything everywhere in the hostel. The staff are always sitting on the rooftop with their friends and shouting, you will hear them all night long. They also run in the stairs and shout, it's horrible, they woke us up so many times.Btw, the WiFi is really really bad, and barely working. The blankets of the beds are not always changed, as well as the general cleaning of the rooms. The staff member was really helpful. Break fast starts at 9, no option to eat earlier since the staff sleeps in the same place as where we have breakfast. Ordered a taxi for the way back and paid upfront. It did not arrive or was too late. We took another one. Send 2 mails to get this refunded. No response. There could be a reason to not giving money back, but I hate the fact of being ignored. The staff is great but they're a little unorganized. Great situation, nice staff and a beautiful decoration. Super friendly staff. Thank you, Fatima and Omar, you made our stay even better. Double bedroom was lacking intimacy since it was just next to main hall. The hostel is full of BEDBUGS! !